The firm is the first IT bellwether to announce its earnings in the first quarter of this fiscal. Here's a look at how brokerages expect the firm to perform in the June quarter. IT major Tata Consultancy Services (TCS) will report its earnings for the quarter ended June 2018 after market hours today. The firm is the first IT bellwether to announce its earnings in the first quarter of this fiscal. A majority of brokerages expect the firm to report around Rs 7,000 crore in Q1 net profit. 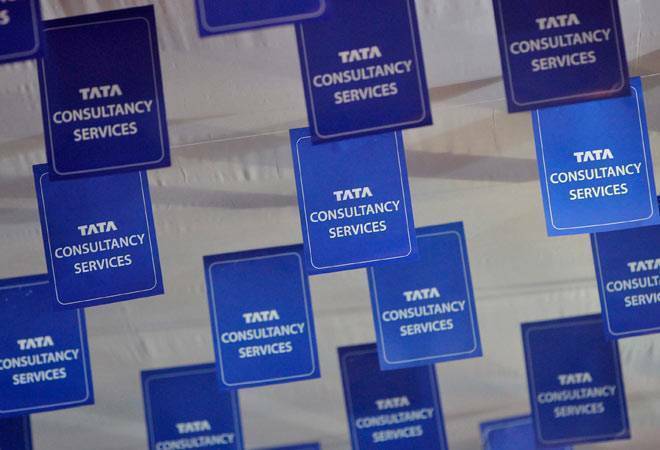 In Q4 of previous fiscal, TCS reported a 4.48 per cent year-on-year (YoY) rise in consolidated net profit at Rs 6,904 crore for the March quarter. Country's biggest software services exporter reported a revenue growth of 8.2 per cent (YoY). Its FY18 Q4 revenue came at Rs 32,075 crore. Here's a look at how brokerages expect the firm to perform in the June quarter. The firm's earnings per share is seen coming at Rs 18.2 per share. It stood at Rs 18 per share for the quarter ending March 2018. The brokerage expects constant-currency (c/c) revenue growth of 3.7% and cross-currency headwind of 120 basis points. Growth will be led by seasonal strength and ramp-up of large deals won in 2HFY18. All verticals, barring banking, will report healthy growth. Impact of wage revision will be 200 basis points, which will be partly offset by depreciation of rupee. Earnings before interest and tax (EBIT) margin will increase on year on year comparison aided by rupee depreciation. The brokerage sees net sales coming at Rs 34,200 crore. Profit after tax is seen coming at Rs 6918.7 crore. Earnings per share seen at Rs 18.5 per share. The brokerage expects 3.7% qoq CC revenue growth and 100bps qoq cross -currency headwinds, leading to a 2.7% qoq growth in USD terms. INR depreciation (400bps qoq) will lead to a 6.6% qoq growth in reported terms. Margin is expected to decline by 140 bps qoq on account of wage hikes, visa charges and new deal ramp -up costs. Profitability impact is after assuming 100bps forex tailwinds sequentially. Reported profit is expected to remain flattish largely on weaker operating profit margins and lower other income. The brokerage sees net sales coming at Rs 33,925 crore and adjusted profit after tax of Rs 7,031 crore. It further states revenue is estimated at $5,063 mn, 1.8/10.3% QoQ/YoY based on 3% QoQ CC and -120 bps cross currency impact. INR revenue estimated at Rs 33925 crore, 5.8/14.7% QoQ/YoY. EBIT margin estimated to decline 40bps QoQ to 25% (target band of 26 to 28%) impacted by wage increase (-200 bps margin impact) offset by INR depreciation and efficiency gains. APAT estimated at Rs 7,031 crore, 1.5/18.2% QoQ/YoY.